Foursquare Checkins used to be a WordPress Plugin, but it isn’t anymore. Plugin Deprecated. Check out List of all active Crunchify Plugins. 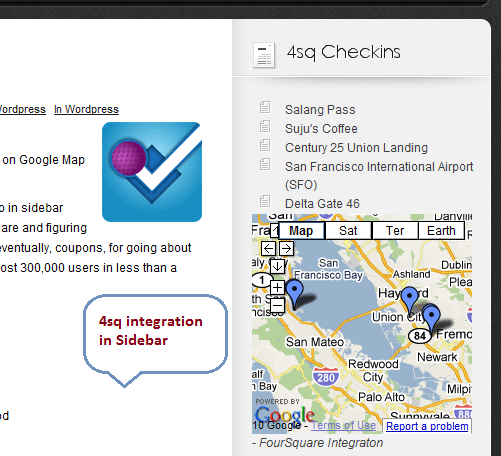 1st WordPress plugin to show your FourSquare checking on your WordPress Blog. View your last checkins as a list OR on Google Map on Pages/ Posts. Customize as per your need. 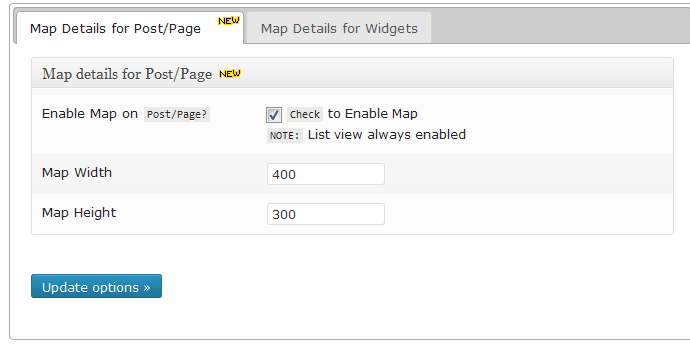 This plugin shows your last Check-ins on your WordPress blog/posts and also in sidebar. Foursquare Checkins WordPress Plugin is primarily for letting your friends know where you are and figuring out where they are. 1) How can I get FourSquare Check-ins map to my blog’s Page or Post? Please add <!–wp_foursquare_checkins–> to any page/post under HTML section. 2) Where is my admin panel option? 3) How can I add FourSquare Check-ins to Widget Area? Go to Appearance -> Widgets -> 4sq checkins and drag it to Sidebar. 4) Don’t see your Check-ins into Map? Love your plug in, is there an easy way to remove the list of check ins form the sidebar? all I want is the MAP not the list of check ins. Thanks, love it. Hi Chunkysalsa – currently we don’t have that option but will try to add it into next release. What about the update of Foursquare into Swarm ? Is your plugin still work out ? Thank you ! Hey Natacha – sorry for late reply. I’ll try to update plugin with latest foursquare to swarm changes. Honestly, that would be great. Your plugin was really easy to use and my customer is asking every time for a new solution to locate him on his website (as he can’t do it anymore…). I would be ready to donate a few for this plugin if it works again 🙂 Thank you ! Same problem as below.. would be great to know the fix. Same as the other People: List work Pins on map not. Even I zoom around :-S can you please fix? Thanks for the plugin!! The list of checkins were able to show correctly, but there’s no drop pins on the map. Could you figure out why is that? Thanks! 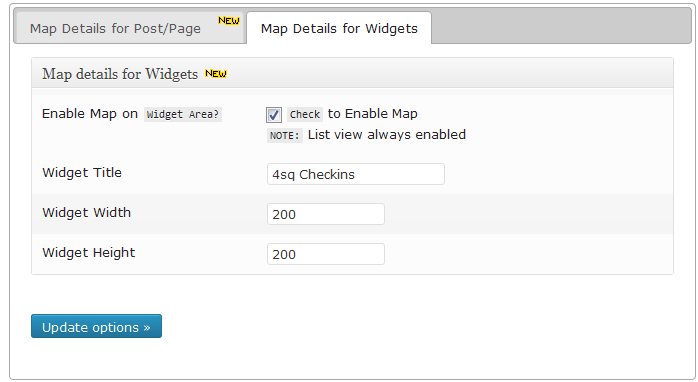 I use wordpress version 3.8.1 and have attempted to use the 4sq checkin plugin and cannot get it to work. blakespetsupplies. com/social-media/foursquare any suggestions? But is possible to show just checkins in my places? Thanks! What do you mean? Can you elaborate? Hey App Shah, first love the plugin! The link to the latest checkin seems to be broken unless the person and I are connected on 4sq. For example https://foursquare.com/greggtilston/checkin/524f2e7c498ef0067f94a706 is the link via the plugin but https://foursquare.com/greggtilston/checkin/524f2e7c498ef0067f94a706?s=OLbkWdKCGrQE549T19Y_fbyez-8&ref=tw is the link tweeted. The later can be viewed by anyone (even not logged in to 4sq). Hopefully you can see what I mean on my blog greggtilston.com (I swear this is not bait for traffic – new blog shouldn’t even be live yet but working through a couple bugs). Is there a way to have the link open in a new window? Staying in the same as the blog is not that great. Lastly, (and I think it was mentioned already) is there away to centre on the last checkin? for the last couple weeks during testing it had me somewhere over the pacific – though in hindsight that could have been because my updates were scattered among North America, Australia, and South Africa. Thanks and again sorry if the answers are obvious. Rats, one thing to add – is there anyway to have the listed results show more than the name of the place? If I check in at say Starbucks only ‘Starbucks’ appears. I could be at home in Toronto or in Dubai for all anyone can tell. Thanks in advance. Thanks Gregg for taking time to post requirement and your feedback. I’ll take a look at this soon and update. Hey thanks App Shah – quick follow up and feedback I’m getting since going live. When people click to the site inside the Facebook app in iOS it is launching google maps in safari. I’ve turned off the map and it doesn’t do this. Any thoughts? I obviously can’t have that happen as (non tech – even less than I) think the site is crashing their Fb app. Thanks guys for nice words. I really need to focus more on this plugin now. Sorry but I couldn’t focus more recently on this. It’s been very busy these days.. But stay tuned.. Within couple of weeks, will try to add your requests. Can you check if you feed data is correct? You don’t have to specify complete feed URL here. “Number of feed entries” should apply to map view as well. Looking forward to new releases! Thanks Gokhan for nice words. Will release new version with mentioned features soon. The map should automatically focus on the latest check-in, as it stands now it doesn’t seem to focus on any one check-in in particular. There should be an option to disable list view altogether in favor of map view for a cleaner look. Other than that, good start! Thanks Frank for your comment. Infect really nice suggestions. I’ve put those into my todo list. Will add those in next release. Hi! Thanks for the cool plugin 😉 Is there any way to auto zoom on the most recent checkin? I notice you have to zoom out of widget to see markers. Thank you again! Thanks for suggestion. I’ll try look at that and if possible will enhance plugin with that.